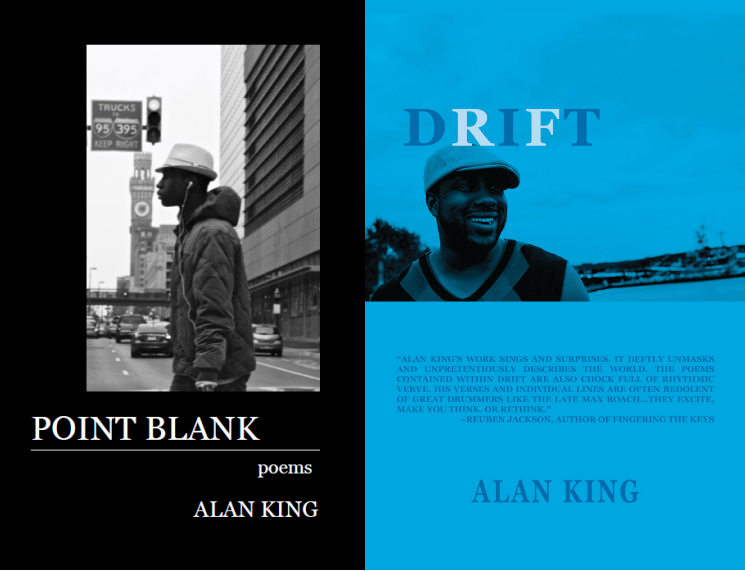 Alan King is a poet and journalist, living in the DC metropolitan area. He writes about art and domestic issues at Alanwking.com. In addition to teaching creative writing throughout the DC/Baltimore region, he’s taught at Duke Ellington School of the Arts and the DC Creative Writing Workshop at Charles Hart Middle School in DC’s Congress Heights neighborhood. King’s poems have appeared in Alehouse, Audience, Boxcar Poetry Review, Indiana Review, MiPoesias and RATTLE, among others. He is a Cave Canem fellow, VONA Alum, a Stonecoast MFA graduate, and was nominated twice for a Pushcart Prize and Best of the Net selection. Drift is his first collection of poems. now is a missed call and your message.